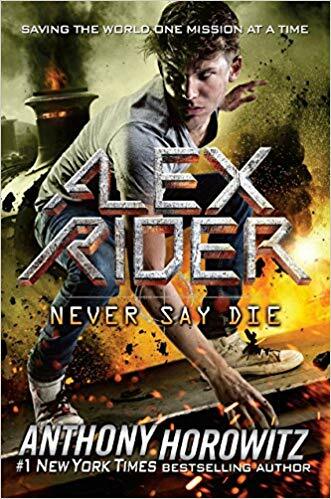 Alex Rider is an orphan turned teen superspy who's saving the world one mission at a time-from #1 New York Times bestselling author! Stormbreaker was published in 2000 in the United Kingdom and in 2001 in the United States. They look like they're supposed to. They talk like they're supposed to. But they sure don't act like they're supposed to. Sixteen boys in a remote boarding school, children of some of the wealthiest and most powerful families in the world. Juvenile delinquents, all: drugs, shoplifting, vandalism. Yet suddenly they're perfect, well-behaved and studious. Identical in every way-or almost every way. Something is wrong. Very wrong. 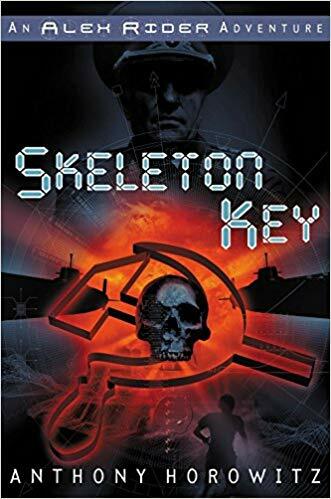 And only fourteen-year-old secret agent Alex Rider can save these boys from themselves. Should he fail, one man's sinister plan to conquer the world will become reality. Point Blanc was published in the United Kingdom in 2001, and in North America in 2002 under the name Point Blank. 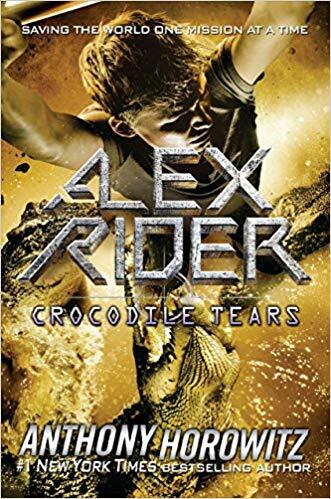 Alex Rider has been through a lot for his fourteen years. He's been shot at by international terrorists, chased down a mountainside, and stood face-to-face with evil. Twice, young Alex has saved the world. And twice, he has almost been killed doing it. But now Alex faces something even more dangerous. The desperation of a man who has lost everything he cared for: his country and his only son. A man who just happens to have a nuclear weapon and a serious grudge against the free world. To see his beloved Russia once again be a dominant power, he will stop at nothing. Unless Alex can stop him first. Millions adore him. A philanthropist. Anti-drug crusader. Peace activist. And former pop star the likes of which the world has never seen. Sir Damian Cray even has the president's car. Yet the president's car is not enough for Damian-he wants more. Such as the president's fingerprints. So he can manipulate computer systems only the President of the United States has access to. So he can launch nuclear missiles. From aboard Air Force One. All in the name of peace...So what if a few million lives are lost in the process? 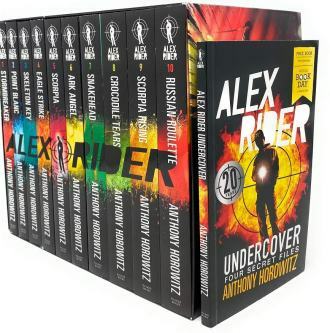 Alex Rider, teen spy, has always been told he is the spitting image of the father he never knew. 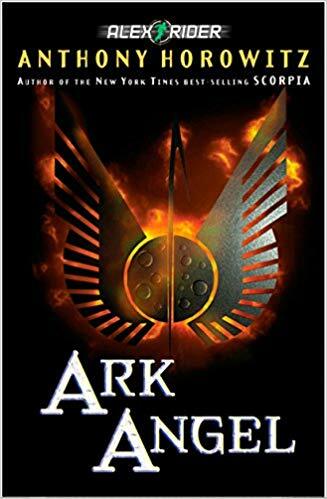 But when Alex learns that his father may have been an assassin for the most lethal and powerful terrorist organization in the world, Scorpia, his world shatters. Now Scorpia wants Alex on their side, and Alex no longer has the strength to fight them. That is, until he learns of Scorpia's latest plot: an operation known only as "Invisible Sword" that will result in the death of thousands of people. Can Alex prevent the slaughter, or will Scorpia prove once and for all that the terror will not be stopped? 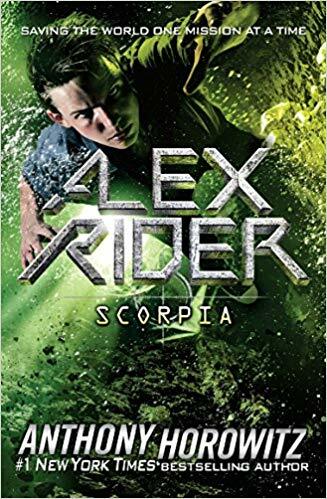 Shot outside the offices of MI6 and left for dead by Scorpia, Alex Rider awakens in a top-secret hospital, glad simply to be alive. But danger has a way of following Alex, and when the boy in the next room is the victim of a kidnapping attempt, it is Alex who saves him-only to be kidnapped himself. The man behind the kidnapping? None other than Nikolei Drevin, wealthiest developer in the world, and the man who single-handedly is funding the first luxury hotel in outer space, Ark Angel. Yet the project is hemorrhaging millions of dollars along the way, and Drevin will stop at nothing to cease the bleeding. Even if it means blowing up Ark Angel. Even if it means sacrificing his only son. . 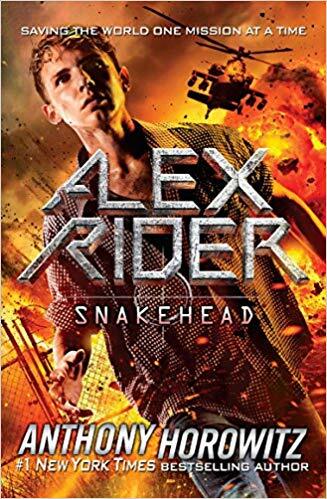 When Alex Rider crash-lands off the coast of Australia, the Australian Secret Service recruits him to infiltrate one of the ruthless gangs operating across Southeast Asia. Known as snakeheads, the gangs smuggle drugs, weapons, and worst of all, people. Alex accepts the assignment, in part for the chance to work with his godfather and learn more about his parents. What he uncovers, however, is a secret that will make this his darkest and most dangerous mission yet . . . and the knowledge that his old nemesis, Scorpia, is anything but out of his life. It's just another day in the life of an average kid. 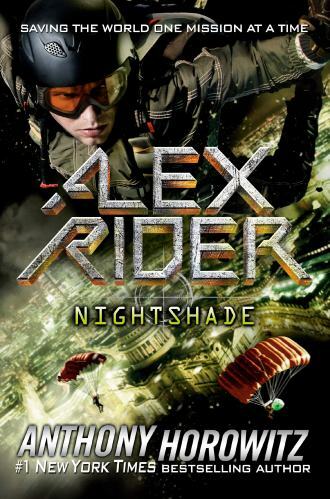 If you're Alex Rider, that is. A con artist has realized there is big money in charity: the bigger the disaster, the greater the money flow! So that is what he will produce: the biggest disaster known to man, all thanks to genetically modified corn that can release a virus so potent it can knock out an entire country in one windy day. 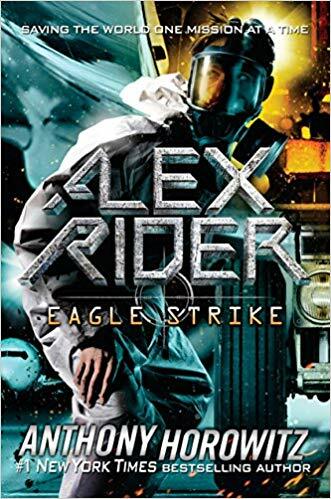 But Alex Rider will face whatever it takes: gunfire, explosions, hand-to-hand combat with mercenaries to bring down his most dangerous adversary yet. 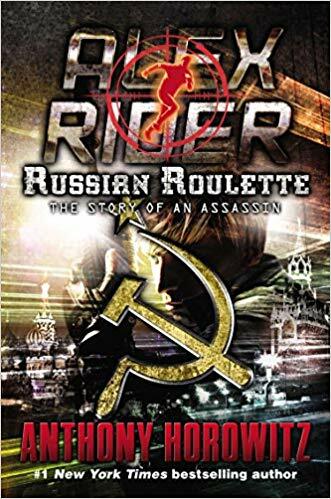 When Ian Rider died at the hands of the assassin Yassen Gregorovich, Alex, ready or not, was thrust into the world of international espionage-the world's only teenage spy. Alex vowed revenge against Yassen and the two have battled ever since. Yet, years ago, it was none other than Alex's own father who trained and mentored Yassen, turning him into the killer he would eventually become. 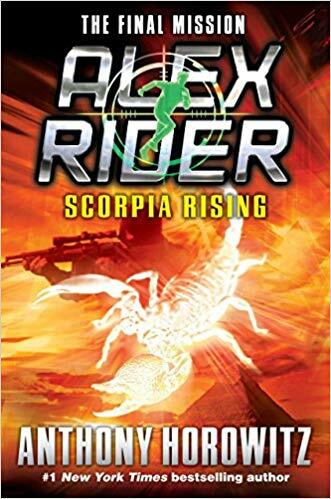 The world's greatest teen spy is back in action in a thrilling new mission: destroy once and for all the terrorist organization SCORPIA. Americans may have purchased more than 6 million copies of Alex's adventures, but now, more than ever, we all need his heroics. Yet SCORPIA knows Alex's weakness. And the question of whether Jack is alive soon takes a backseat to a chilling new terrorist plot--one that will play with Alex's mind as he grasps the magnitude of what is at stake. 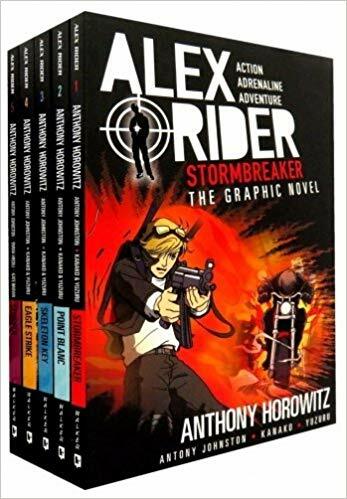 International bestselling author Anthony Horowitz's short story collection expands the universe of teen spy Alex Rider with more thrilling action, espionage, and pulse-pounding heroics. 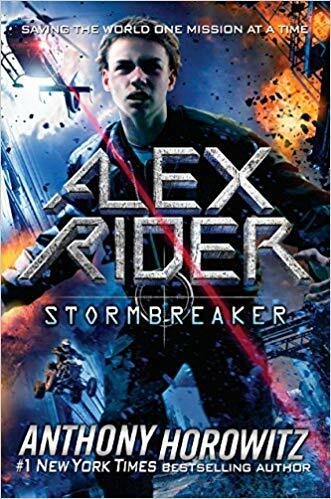 Inspired by Horowitz's millions of fans worldwide, Secret Weapon expands the world of Alex Rider with more thrilling action and pulse-pounding heroics. Follow Alex as he infiltrates a terrorist hideout in Afghanistan, fights to prevent an assassination attempt at a ski resort over Christmas, and much more! 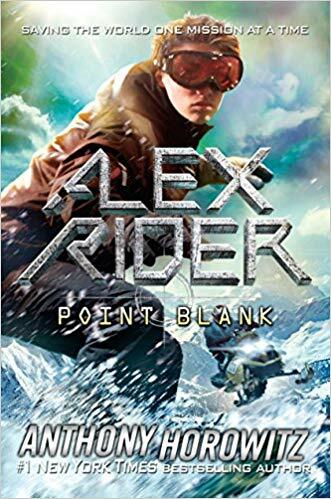 The #1 New York Times bestselling Alex Rider is back with more exciting, edge-of-your-seats adventures! Contains a combination of new and previously published material, together for the first time! Titles in This Set: Scorpia Rising, Crocodile Tears, Snakehead, Ark Angel, Scorpia, Eagle Strike, Skeleton Key, Point Blanc, Stormbreaker. Titles in This Set: Eagle Strike, Skeleton Key, Point Blanc, Stormbreaker, Scorpia.